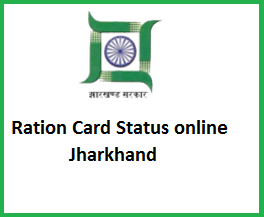 Department of Food, Public Distribution & Consumer Affairs Government of Jharkhand has provided Ration card Status online, Jarkhand People Who Applied New Ration Card or Old Ration Card Holders can Check Their Ration Card Details online. People just logon to department official website http://aahar.jharkhand.gov.in/ get Ration card status easily. Ration Card is Very important document in India. But some time We lost importment document, It is Very good news for Jharkhand peoples who lost their ration card those person Can download Ration Card Details through Ration Card Number. Just log on to Department Website, and Enter their old Ration number for View Ration Card details. Jharkhand Government has Providing more online Services through their Department website. Ration Card holders can check Ration Card Status, Lifting status, Dealer Summary, Aadhaar Seeding Status, E-Samadhan etc. How to Search Jharkhand Ration Card Status online ? 1. Just Logon to Department of Food, Public Distribution& Consumer Affairs Government of Jharkhand, Department Website. 2. Than click on " Know Your Ration Card"
4. Enter ( District,Block / Municipality,Panchayat / ward,Village) details. 5. Than click on "Search" Button. 6. If you want to Search Ration Card Details individually , Enter your Ration Card Number. 7. Than Click on "Search" Button. Finally Get Ration Status online. Without msg of ration I couldn't receive my ration. So suggest me to change mobile no. mera ration card kho gaya hai. hum kya karen.? Apne card me ek naya naam jodna hai kya kare?